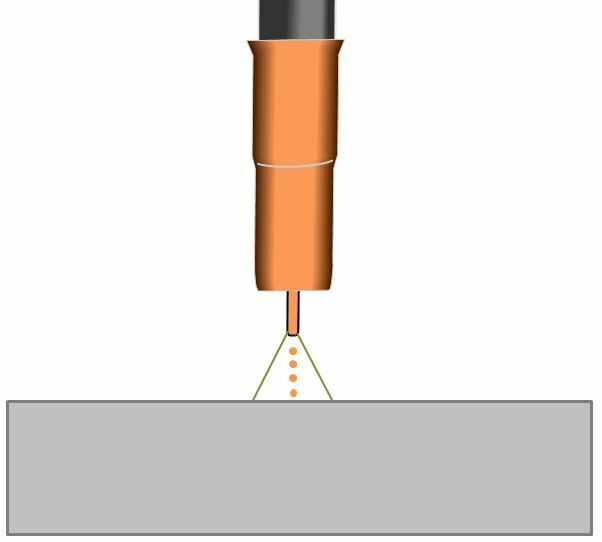 Spray is a mode of metal transfer in which a fine spray of metal droplets are projected axially from the tip of the electrode to the work. These droplets are smaller in diameter than the electrode. This mode of transfer is characterized by high wire feed speeds (high amperage), high voltage and consequently high heat input. It produces a very fluid weld puddle so it can only be used in the flat and horizontal positions. In spray transfer fine droplets are transferred through the arc. This produces deep penetrating and typically spatter free welds. 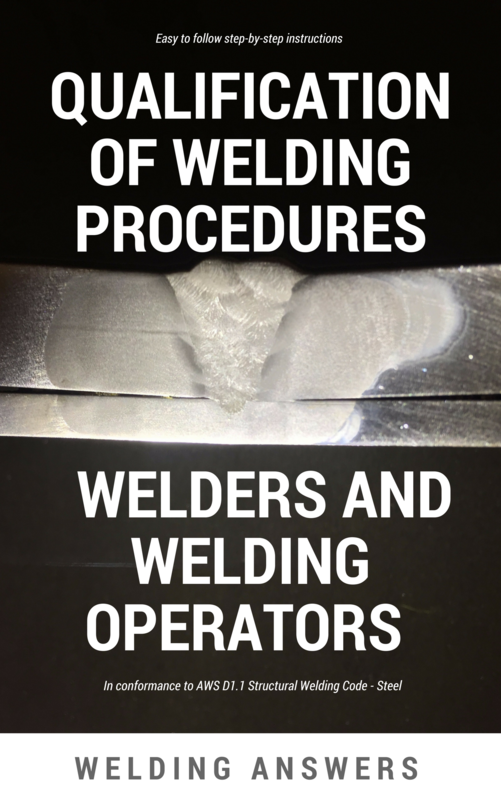 The welds produced with spray transfer are characterized by deep penetration and excellent bead appearance, provided proper welding technique is used. As we learned when discussing short circuit and globular transfer, the mode of transfer is directly influenced by amperage, voltage, current (amperage) and shielding gas composition. In order to achieve spray transfer the shielding gas should contain at least 80% argon (inactive/inert gas) with the balance being most commonly carbon dioxide and in some cases oxygen (at levels of 5% or lower). Gases of these compositions provide a stable medium for the metal droplets to transfer smoothly through the arc. 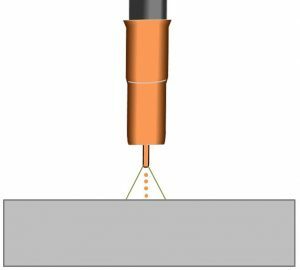 Because different gas mixtures have different energy levels and other specific characteristics, spray transfer is achieved at different current levels for a specific electrode diameter depending on the shielding gas composition. As explained above, you need at least 80% argon in your mix to achieve spray transfer. But there is a large number of shielding gas mixtures. For now we’ll stick with some of the most common ones. The chart below shows the current at which spray is achieved for a specific electrode diameter and shielding gas combination. Electrode diameter, shielding gas composition and amperage are the most important variables in determining transfer mode. The chart above provides the estimated current at which spray transfer can be achieved. There are other factors that will affect the arc such as voltage. If your voltage is too low your arc will be erratic and you won’t have a good transfer. You also need to pay attention to other factors that affect amperage, such as your contact-tip-to-work distance (CTTWD). This is the main reason why the chart shows amperage rather than wire feed speed. For a given wire feed speed the resulting amperage will decrease as your CTTWD increases and vice versa. So keep that in mind. It is important to note that as the percent of argon increases in the shielding gas the transition current is lower for a given electrode diameter. Spray transferred can be achieve at a much lower current when using 95/5 (argon/oxygen) than with 90/10 (argon/carbon dioxide). But before you go changing your gas for this reason don’t forget all the other things that your shielding gas composition can affect. I just asked about tank size ,was reading about pulse spray trans. again, up till now Ive been using short circ, for 1/4 in and thinner so spray wouldn’t work too well? You had a guide for spray , current to break into, My Power mig 300 is in synergenic ? weld mode 11 .035 wire in Wire feed speed not amprage ,so I’d have to switch to pwr mode to get current input ? I think I’m asking how does amp correlate to WFS, I’m asking Lincoln elec. but they act like they don’t understand the Question ! THe Power Mig 300 should display amperage as you are welding (in the same window that was showing Wire Feed Speed). 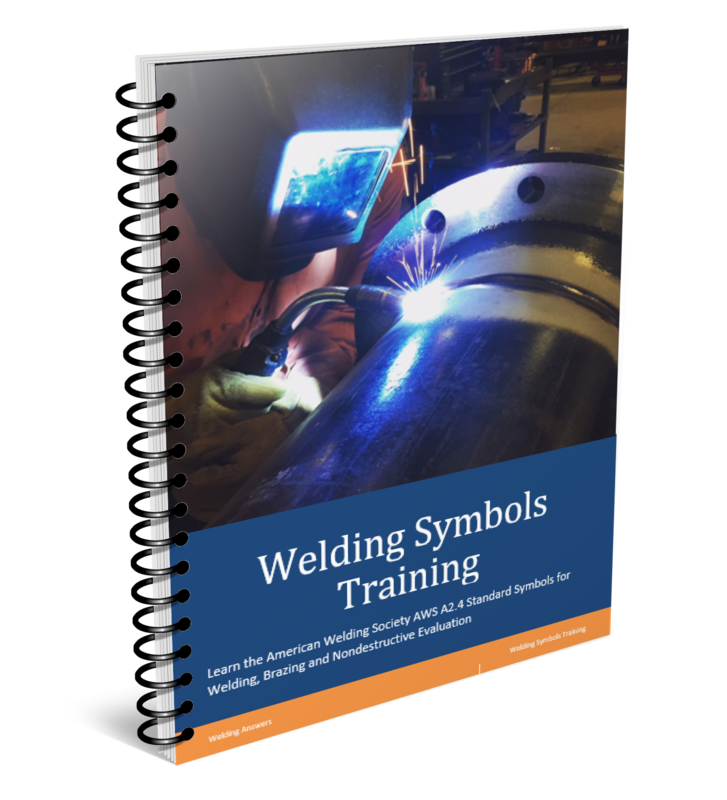 It will display amperage as you weld and will hold that display for 5 seconds after you are done welding. So strike an arc, weld for a few seconds and then stop and check the display for your amperage. 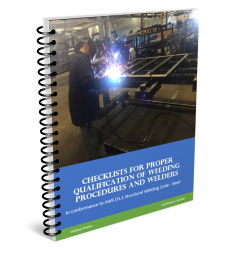 Its best to have someone look at it as you are welding since the weld termination is sometimes erratic and can give you a very low or high reading. I would stick with Mode 11 as Mode 40 (Power Mode) can be a little tricky to use. The wire feed speed that corresponds to a specific current is affected by the contact tip to work distance. If you go to the spec sheet of the filler metal you are using you’ll find recommended settings. For .035″ ER70S-6 wire you get about 195 amps when running 375 inches per minute and have a contact tip to work distance of 1/2 – 3/4in and running 90/10 gas. Voltage should be around 23-24 volts. Keep in mind that you can be way above the transition current but not really have spray transfer if your voltage is too low. The relationship between wire feed speed and amperage is directly proportional. As your wire feed speed goes up so does the amperage. Good luck.